Prominent & Leading Exporter from Ahmedabad, we offer elastic crepe bandage, plaster of paris bandage, rolled bandages, wow bandage, cotton crepe bandage b.p. and zinc oxide elastic bandage. Enriched by our vast industrial experience in this business, we are involved in offering an enormous quality range of Elastic Crepe Bandage. 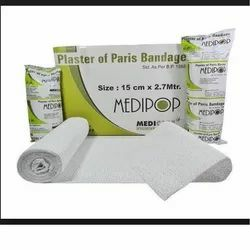 Medicare Hygiene Limited is a leading manufacturer, Supplier and exporter of Plaster of Paris Bandage (POP Bandage) available with the Medipop Brand. 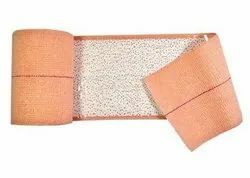 It is smooth cast bandage consist of superior quality of fabric evenly impregnated with fine quality of Plaster of paris powder mixture with minimum setting time. Light weight, durable, higher cast strength. Medi Pop made from light weight fine POP powder & Leno / gauze, fabric light weight, easy to use with high compression & tensile strength. 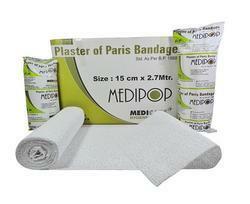 Medipop is smooth, creamy finish & cosmetic look bandage. Easy and excellent mould ability & consistent layer to merging. Higher concentration & retention of pop powder ensuring durable cast strength. 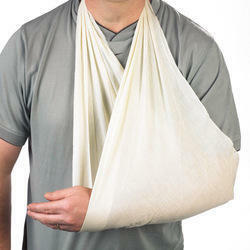 Immobilization of all types of simple and compound fractures. Bone fractures, joint diseases, osteotomy correction and prevention of club - foot deformity. For treatment of dislocation of hip, other orthopaedic fractures, split, soft tissue injuries, spinal tuberculosis and trauma. Made as per schedule F II of I.P. We are one of the eminent names in the industry engaged in manufacturing, supplying, wholesaling and exporting a diverse range of Elastic Cotton Crepe Bandage. These bandages are specifically manufactured in strict compliance with the standards and norms of the medical industry. The entire range of these bandages is crafted from a non-slipping, sterilizable material in order to allow the skin to breath freely. We provide exclusive range of Zinc Oxide Elastic Bandage. These are made of high quality raw material by our team of experts. Our Zinc Oxide Elastic Bandage are widely used in various hospitals, medical stores, schools, offices etc. for its quality. Our clients can avail these at very economical price range. Associated with the significant names, we have been able to provide our clients the best-in-class Cotton Bandage. We are a conspicuous name occupied with offering POP Bandage. A mortar swathe, normally known as a mortar cast, is a firm material used to tie a body part and give backing to broken bones as mending happens. It is generally connected to balance out and forestall development of the broken appendage for a long time or months, contingent upon the degree of the harm. We are one of the most reliable companies in this domain and are into offering Zinc Oxide Adhesive Plaster. Our organization offers a superior range of Combination Dressing which is manufactured using innovative and an advanced production process. We are one of the most reliable companies in this domain and are into offering Zinc Oxide Elastic Adhesive Bandage. 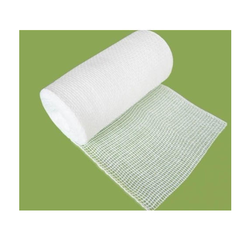 We are one of the most reliable companies in this domain and are into offering Cotton Crepe Bandage. 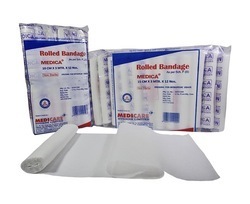 We are one of the most reliable companies in this domain and are into offering Crepe Bandage. We are one of the most reliable companies in this domain and are into offering Elastic Cotton Crepe Bandage. We are one of the most reliable companies in this domain and are into offering Elastic Adhesive Bandages. We are one of the most reliable companies in this domain and are into offering Elastic Crepe Bandage. 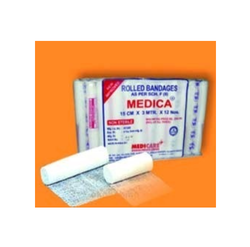 Avail from us a premium range of Elastic Adhesive Bandage. These are easy to wrap, comfortable to wear and are provided in varied sizes. 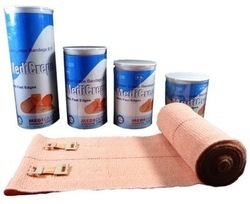 Our quality centric approaches help us to provide a superior range of Adhesive Plaster which is widely used in injuries. We are one of the most reliable companies in this domain and are into offering Elastic Adhesive Bandage Zinc Oxide. 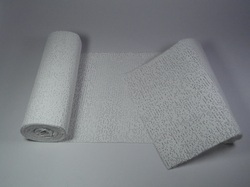 We are leading manufacturer and exporter of Cotton White Rolled Bandage As per Sch-FII. The items offered by us are essentially used to treat minor wounds, which are acknowledged for their cement plastic wipe and adequacy. Notwithstanding this, these items are outlined utilizing premium evaluation crude material and cutting edge specialized learning in consistence with the mechanical benchmarks. Is of variable setting time. We are leading manufacturer and exporter of Triangular Bandage. Made of high-review cotton material, these items comply with the delineated parameters of the business. These items are intended to be utilized for postoperative consideration of wounds and cracks. We offer these items in distinctive sizes and lengths to meet differentiated requests of the customers. Port of Dispatch: Mundra Port, Gujarat, State, India. 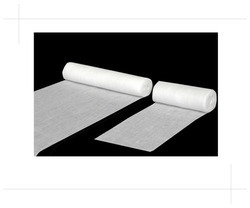 We are leading manufacturer and exporter of Adhesive Elastic Bandage in all the sizes since 1994. Like alternate items, our organization's Elastic Adhesive Bandages are surely understood among therapeutic experts in the nation. We likewise have a decent customer base abroad. Our flexible cement swathe is made from ideal quality crude material that has been sourced from dependable suppliers. Having woven fast edges & thick fabric. Made up of cotton and rayon fabric. We are leading manufacturer and exporter of Elastic Adhesive Bandage Tape. Inferable from our inside and out learning and endless involvement in this area, we have possessed the capacity to offer premium quality Adhesive Tape and Elastic Adhesive Bandage. Our item is definitely made utilizing high review essential material and propelled systems. Notwithstanding this, we offer this wrap in fluctuated sizes and width according to variation needs of our customers traversing everywhere throughout the nation. We are one of the eminent names in the industry engaged in manufacturing, supplying, wholesaling and exporting a diverse range of Elastic Crepe Bandage B.P. These bandages are specifically manufactured in strict compliance with the standards and norms of the medical industry. The entire range of these bandages is crafted from a non-slipping, sterilizable material in order to allow the skin to breath freely. 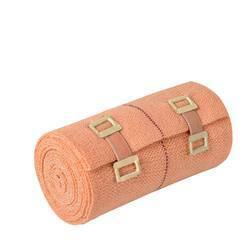 We are one of the most reliable companies in this domain and are into offering WOW Bandage.